Raise your hand if eating healthier has been your New Year's resolution for longer than you can remember. As someone with a huge sweet tooth (and very little discipline when it comes to snacking), I can say with more experience than I'd like to admit that changing your eating habits is extremely challenging. This is partially due to my aforementioned sweet tooth, but I try to cut it some slack: There are also powerful neurological patterns that make the transition a difficult one. According to a recent study from researchers at John Hopkins, routine behaviors (especially those that are pleasing) stick around until our brains are no longer primed to give into them. And now that we got the bad news out of the way, here's the good news: There are several ways to make your healthy eating transition a lot easier and more enjoyable. Here are eight simple steps to trick yourself into making better decisions in the kitchen. Staying hydrated may seem rather obvious, but it can also be one of the first tasks we forget about (especially when we have a million other things on our minds). Drinking the appropriate amount of water is probably the easiest health hack because you already do it, regardless of whether or not you're on a specific diet or concerned about healthy living. In case you didn't already know, drinking more water has a ton of health benefits. According to dietitian Joe Leech, sufficient hydration will prevent muscle cramps (which makes exercising more enjoyable) and helps transport nutrients throughout our bodies to keep you feeling energized. That means you should grab your Nalgene instead of that candy bar (which will inevitably cause you to crash later). A good trick is to keep a glass of water on your desk to drink throughout the day, even if you don't feel parched. If you're not a fan of the taste, then this cucumber- and watermelon-infused water should dial up the taste factor. Nothing is full of more contradictions than the office snack drawer. In fact, it's the ultimate frenemy. When you're craving a quick pick-me-up during a busy day and you're also hoping to save some money, the snack drawer is your bestie. However, it can easily become your worst enemy when you're feeling groggy and achey after chomping on a handful of goodies (or, if you're like me, a bucket full). Cut out this literally toxic relationship by packing your own snacks of the healthier variety. One of the most difficult aspects of transitioning to healthier eating patterns is figuring out to how incorporate them into your lifestyle. There's a reason a lot of junk food is also known as fast food. There's a correlative relationship between what we choose to eat and how much time we have on our hands. Once you have a roundup of quick, healthy recipe alternatives to refer to when you're in a pinch, you won't have an excuse. That's right: You can have your metaphorical cake and eat it too when you use these recipes. Remember when we said habits are hard to break because our brains are wired to repeat rewarded behavior? Well, if you develop a routine around healthy eating habits (like choosing a certain day of the week to grocery-shop or carving out a specific time to fill your water bottle every afternoon), you will soon become addicted those habits too. Joke's on you, brain! It'll be hard to get started, but once you get into a groove, it won't feel like such a burdensome extra step to eat a little healthier—and this psychological trick should help too. Giving in to your emotions has a time and a place, but eating junk food because you're sad, angry, scared, or annoyed will only temporarily relieve you of stress. In fact, some of the foods we associate with comfort actually exacerbate stress instead of relieving it. And even we know we should avoid certain foods, our emotions sometimes triumph over our better judgement… Clearly emotional eating is a hard habit to kick, since there are so many more variables involved. You can begin to build a healthier relationship with your feelings (pun intended) by processing them through other channels that don't involve junk food. Not only will this allow you to reap the benefits of nutritional eating, it'll also help you work through your emotions to ultimately overcome them. Try a new workout routine, call a trusted friend, get into meditation, or practice some breathing exercises. Now that we've discussed the obstacles of time, the office snack drawer, and the emotional influences of unhealthy eating, let's talk flavor. If you love eating because of taste, I'm right there with you. But contrary to popular notions, eating healthily actually doesn't have to synonymous with boring, flavorless alternatives that resemble cardboard and dirt. The key is to cut out chemically modified products or those with a high-sugar content and trade them in for healthier alternatives. This way you won't have to compromise on taste. Sometimes it's as simple as changing the way you prepare your meal, like opting for baked eggs instead of fried. If there are certain restaurants or dishes you absolutely love (but your healthy living goals don't), there is a way to make room for both. Think of it like a conflict resolution for your mind and body. Try creating a reward system that enables you to indulge every now and then, like choosing a day of the week to splurge. Or take up the Miranda Kerr–approved 80/20 diet—that's 80% healthy and 20% treats. As we mentioned earlier, a routine will help you stay on track, but it's also important to be flexible. A highly restrictive and rigid approach can not only lead to extreme dieting, it also just won't work. So if there's a restaurant opening or a favorite comfort food, make an exception. This will be far more sustainable thanks to the incentive of a tasty reward. Now go ahead and pat yourself on the taste bud with your go-to junk food, but do so sparingly. Never underestimate the health benefits of a good night's sleep. This is a big one (and potentially the most important hack yet), but for some reason it's the first one to get booted when life gets in the way—we're all subscribers to the Cult of Busy. Here's why you shouldn't dismiss it anymore. Science shows that being well rested will allow you to maintain better focus and thus have a productive workday, so you'll have more time to stick to your other health-oriented routines. Plus, you'll be less likely to impulsively or emotionally give into your junk food cravings if you're alert. If you've been missing out on sleep lately and aren't sure how to get your sleep schedule back on track, try a new pre-bedtime routine. Have a hack for eating healthy? Share it with us in the comments, and shop our sneakiest tricks for staying on track below. If you're not a huge fan of water, try baby-stepping into the habit with infused hydration. 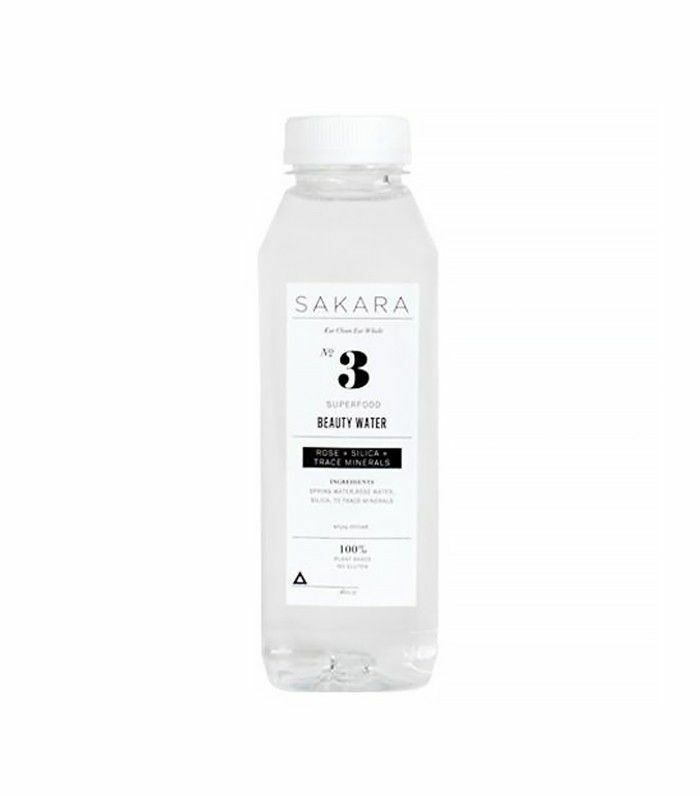 Sakara's Beauty Water contains aromatic rose water and silica to boost your complexion. For those who have trouble getting to sleep, a silk eye mask works wonders. Trust us. 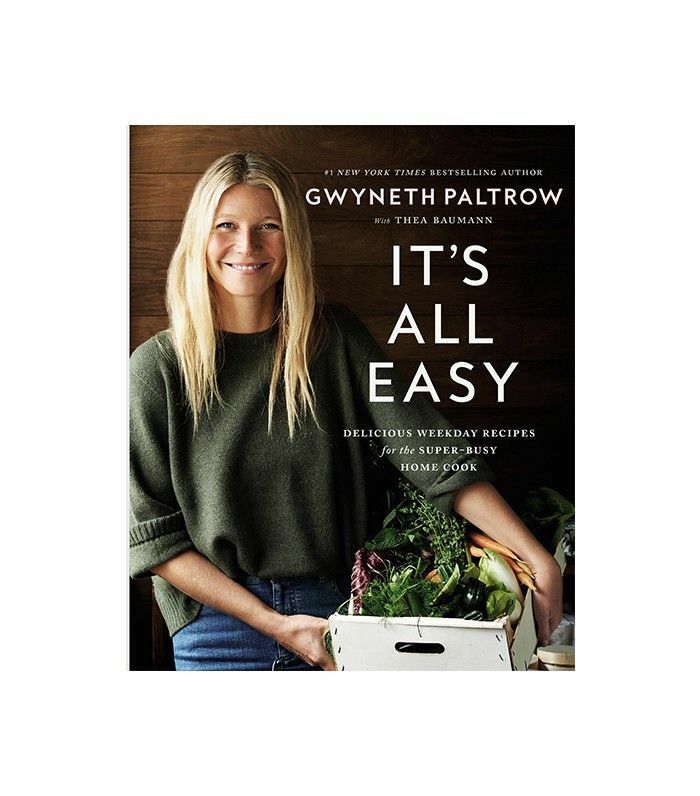 Gwyneth Paltrow's simple and healthy cookbook is the perfect first step toward mastering easy at-home meals. Opt for healthy substitutions to divert your brain from cravings. 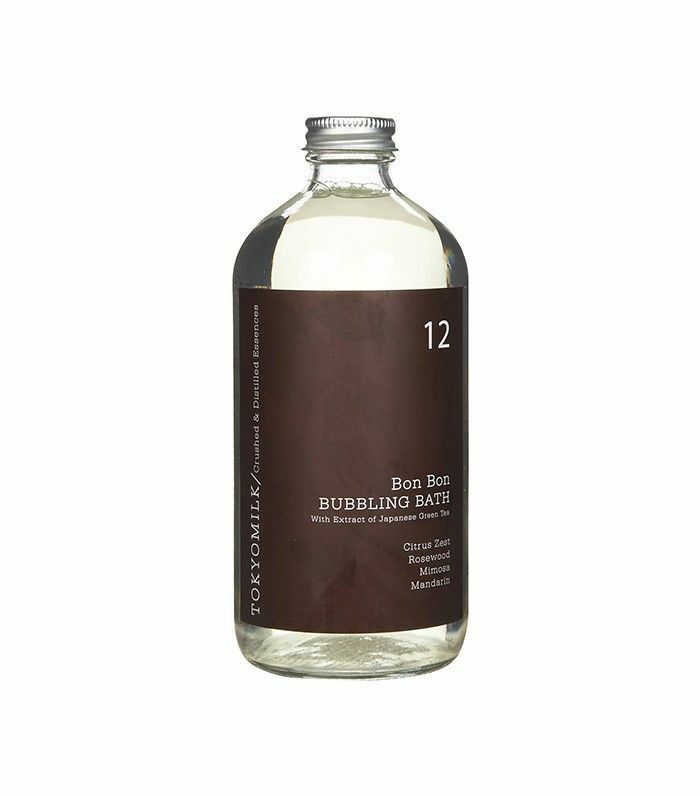 We're voting for bubble baths, but feel free to improvise on the fly.